Unique signed copies are available for order. YASHIM COOKS ISTANBUL: Culinary Adventures in the Ottoman Kitchen (£25/$35 Argonaut Books) contains all sorts of easy, traditional Turkish recipes, simple and delicious family dishes like a Greek fisherman’s stew, pumpkin soup or aubergine chicken wraps, alongside more unusual recipes for feasts, from stuffed mackerel to hazelnut and lemon pilaf, or fish poached in paper. It began when readers started asking for Jason’s sleuth’s recipes… The Ottoman series began with The Janissary Tree, winner of the Mystery Writers of America’s Edgar Award for Best Novel (2007). The five books in the series have sold over a quarter of a million copies and have been translated into over 40 languages. Food is at the heart of the books. In each of the novels Yashim, the detective, goes into the markets and the kitchen to bring nineteenth century Istanbul to life. Readers and reviewers have responded enthusiastically, on both sides of the Atlantic, and called for the cook book: ‘A Yashim cook book would be an appetising prospect.’ The Guardian. ‘The descriptions…made me drool.’ The Independent.’ Mouth watering…’ The Washington Post. 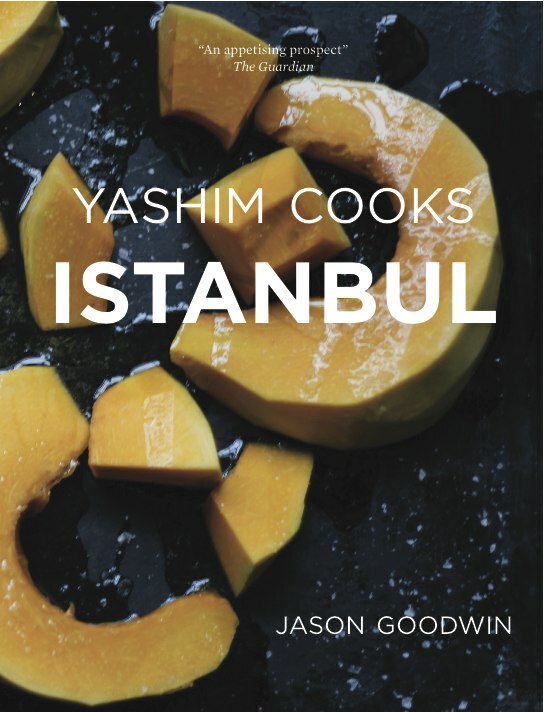 YASHIM COOKS ISTANBUL has appealed to food-lovers and home cooks, evoking the colours and flavours of the Ottoman world, with recipes from simple meze and vegetable dishes to meat, fish, and puddings. Meanwhile, Argonaut Books will send a signed copy of the cookbook, postage free, anywhere in the world – just order using the side bar to the right.